Whether you suffer from tummy troubles or not, if you get occasional heartburn or acid reflux, you could benefit from some digestive support. Try these tips to tame heartburn and put out the fire for good! Believe it or not, acid reflux is usually not an issue of having too much acid. Proton pump inhibitors and acid reducers can actually throw a monkey wrench into the situation because stomach acid is vital for normal digestion. Lowering stomach acid can lead to malabsorption of fats, fat-soluble vitamins and vitamin B12, which depend on stomach acid for digestion. Proton pump inhibitors like Nexium or Omeprazole notoriously deplete vitamins B12 and C, folic acid, calcium, magnesium, chromium, beta carotene, and zinc. Plus, long-term use of these medications can lead to dependence. For this reason, the goal should be to only use medications temporarily and solve the root of the issue instead. What Causes Heartburn and Acid Reflux? One of the biggest causes of heartburn after meals is poor digestion. Low stomach acid, stress, a back-up of bile, constipation, large meals, and a lack of digestive enzyme power can cause a slowed emptying of the stomach’s contents, thus pushing the content of food upward on the muscle that usually holds the stomach contents down. Acid reflux occurs partly because motility is not moving at an optimal pace, the contents of the stomach are irritating, and there is a back-up of bile in the stomach. If you overeat, your liver makes extra bile and stuffs cholesterol in it as a last ditch effort to avoid being overwhelmed by too much food. This readily causes bile stagnation in the gallbladder and bile surges into the digestive tract at the wrong times, which moves backwards and cause reflux. 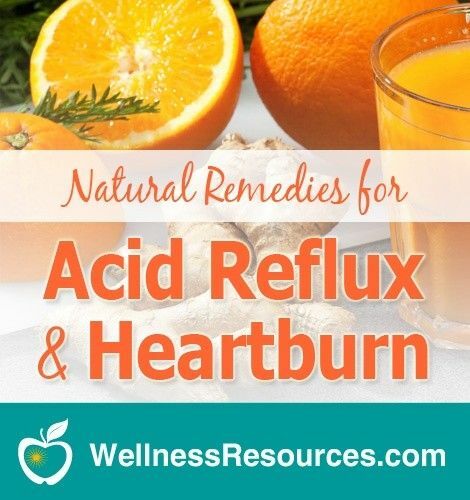 Fortunately, there are natural remedies that can improve the digestion of foods and ease heartburn and acid reflux. D-Limonene is an oil from orange peel that actually dissolves the sludge buildup in the gallbladder it can help solve the acid reflux problem at its source. Human studies have found that 1,000 mg of d-limonene per day or every other day has a positive effect on reflux. Increasing fiber and friendly flora (probiotics) helps to correct imbalances in the small intestine and improve bowel motility. Adding broad-spectrum digestive enzymes helps your body break down the foods you are eating, so they are less likely to be irritating. Along with not overeating or snacking between meals, these nutrients can be quite helpful for improving digestive health and reducing heartburn and acid reflux. Tagged acid reflux, digestion. Bookmark the permalink.